You must make reservations at least 5 minutes in advance of the time at Tekarra Restaurant. Welcome to our "cabin in the woods", Tekarra Restaurant, Jasper's fine dining experience since 1952. 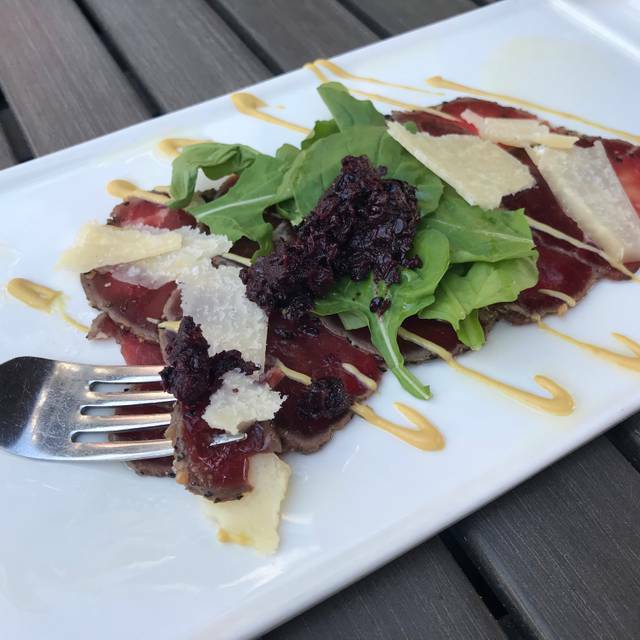 Chef Dale Nutt, and owners Mike and Cyndi Day, created a menu inspired by regional products such as Alberta bison and AAA beef, Wild Boar, free run chicken, and Arctic Char. Our appetizers feature small and shared plates and follow the same theme with meat and cheese boards, house smoked trout, and bacon jam. Our service team are here to ensure you have an enjoyable, relaxing dining experience. Cheers! Service was fantastic. Food was well presented and most importantly the food tasted amazing. We both love food and finding nice places to eat in jasper was really difficult. Finding this restaurant was a god send, delicious, would highly recommend. A great dinning experience just outside the town of Jasper. Good food and attentive service. The facility was quite chilly. We had some issues with the food-very salty but the staff were accommodating. Very good food and nice place. Kids can dine as well and they have a kids menu and paper on the tables to colour on and crayons. Bison short ribs were amazing. Friend chicken was good too. Baked brie was good but not as good as the rest. Kids spaghetti and meatballs was good too. Service was ok. Would dine again. amazing food!! we loved it so much went back a second night and my husband had the same thing again. Fantastic food! Some of the best of our trip to Canada. Flavor abounds with entrees. How many restaurants use black garlic---unbelievable flavor! Overall, could have been our best dinner in Jasper. Great great dinner. It was for a special birthday dinner. So good we are going back tomororw on our last night. We had a nice pair of salads, a tasty trout fillet, a disappointing steak, and some very good lemon curd, along with a very good bottle of Canadian white wine. The waitress was excellent, the atmosphere lodgey. However, all this was way overpriced. Wouldn't return and didn't recommend to friends visiting Jasper. Our third time there and it never disappoints ! 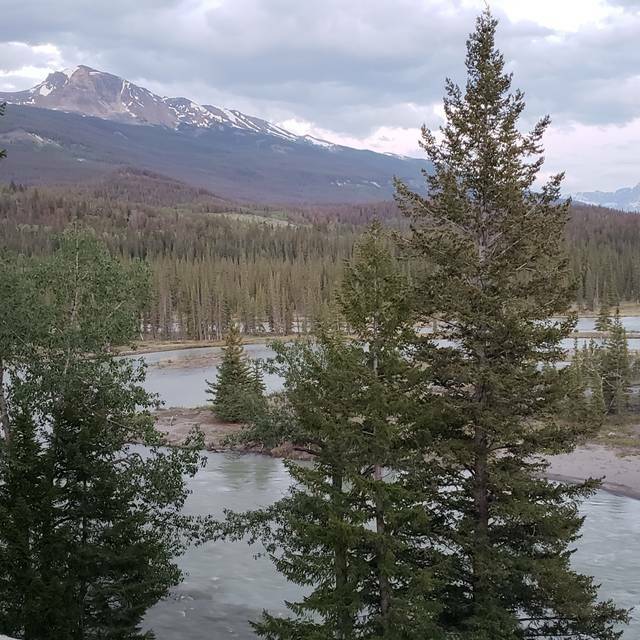 Highly recommend adding to your Jasper vacay! Great food and great service at Tekkara Lodge just outside of Jasper. Go early and enjoy the spectacular river valley views! 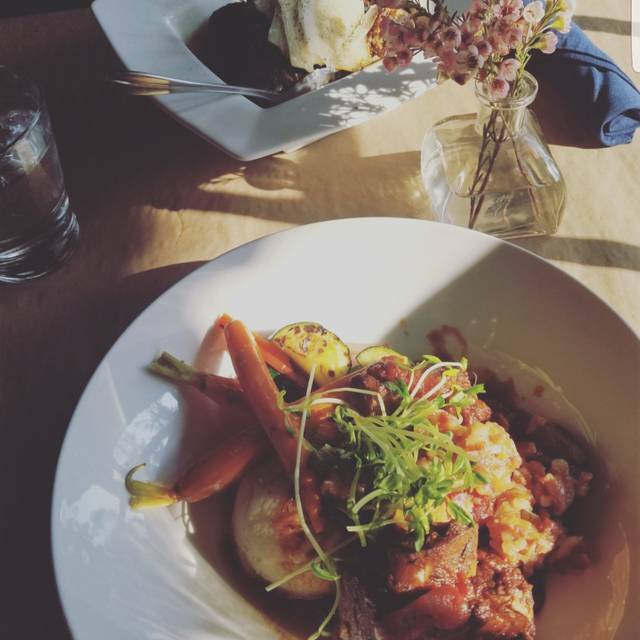 This was by far the best meal we had in the Canadian Rockies! It's a hidden gem! Very creative and delicious menu and service was spot on! Will definitely be coming back the next time we visit! Restaurant situé à l ‘extérieur de la ville de Jasper à proximité de la rivière Athabasca. Repas excellent, présentation soignée. Nous avons demandé d’avoir les recettes sans Je vous recommande la salade de choux de Bruxelles à partager et la brochette de bœuf et comme dessert la tarte au citron. Un plaisir pour le palais. We loved our meal at Tekarra. Never would we have this small restaurant, tucked away in the woods, would offer the spectacular, locally-sourced, food that we enjoyed. It was a wonderful experience. Service was great and the food was very tasty with numerous options you wouldn’t find on many menus. Loved this unique little cabin feel. Food was excellent! The craft cocktails were incredible. We were recommended this restaurant by a friend and we were not disappointed. We have been coming to Jasper for years and cannot believe that we had not eaten at this little gem until the other night. To put it clearly, the food was absolutely outstanding. I had the bison short ribs with the "bacon jam," to die for, highly recommend. 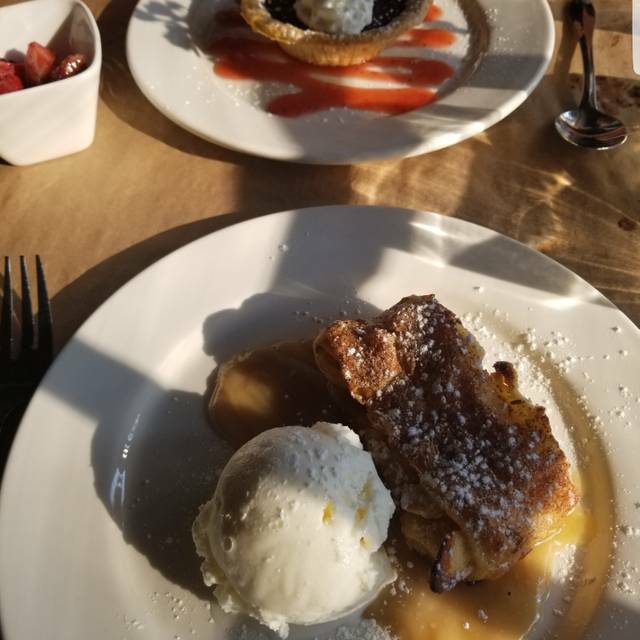 Both the apple strudel and the chocolate tart for dessert were impeccable as well. The best way I can describe this place is high quality dining with a quaint, whimsical charm. Each table was adorned with fresh flowers and a brown paper tablecloth complimentary with crayons for those interested in soaking up the whole experience. In top of that the service was fantastic as well. Cannot say enough great things and we will definitely be back! This dining experience is a must. With its rustic aumbianc, great service and unique cuisine, this makes for a memorable occasion. Excellent restaurant, loved the view the service and the food and drinks. I can hardly wait to go back. Best restaurant food in Jasper! We loved the trout dinner and brussel sprout appetizer. They had a beautiful presentation. The food was unique and had special flavors. Tekarra is always a delight. Culinary treat, exemplary service and wonderful ambiance. A must, and certainly proud to showcase Canada. Fantastic meal in Jasper - our favorite!! Food was excellent and wonderful service. Number one here in our book. The food was tasty but expensive and a slightly over complicated menu with lots of optional/chargeable extras including being charged extra for adding cheese to spaghetti. Service was slow and lacking attention to detail (eg no wine cooler for white wine; not clearing starter plates before presenting the main course). Very under-staffed , We waited for 2 hours for main courses. Food was tasteless and incredibly over-priced. It was perfect! Beautiful setting, decor and menu items. 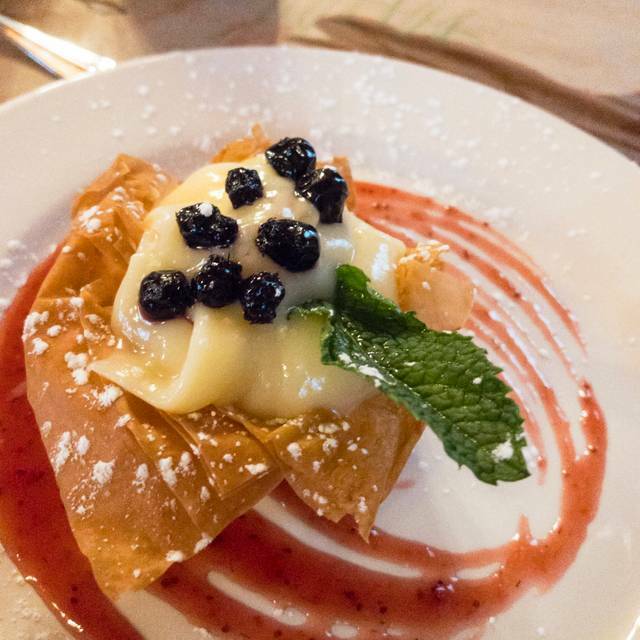 Every dish was a work of art and the ingredients were fresh and beautifully prepared. It felt very welcoming and relaxed. Thank you to all the amazing staff. We went twice during our week in Jasper. We celebrated our sins birthday there. Loved sitting at waters edge before and after dinner. Nice bear talk too by volunteer. Then we saw a bear family. Good, tasty food : we had the duck and mushrooms to share for appetizer then the trout and the bison meatballs with pasta as entrees. Chocolate pie and lemon curd for dessert. What a great time we had at the Tekerra lodge Restaurant. Great atmosphere for the mountains and the waitress was friendly and very busy. You can't be a big hurry but the food was very fresh, and tasty. 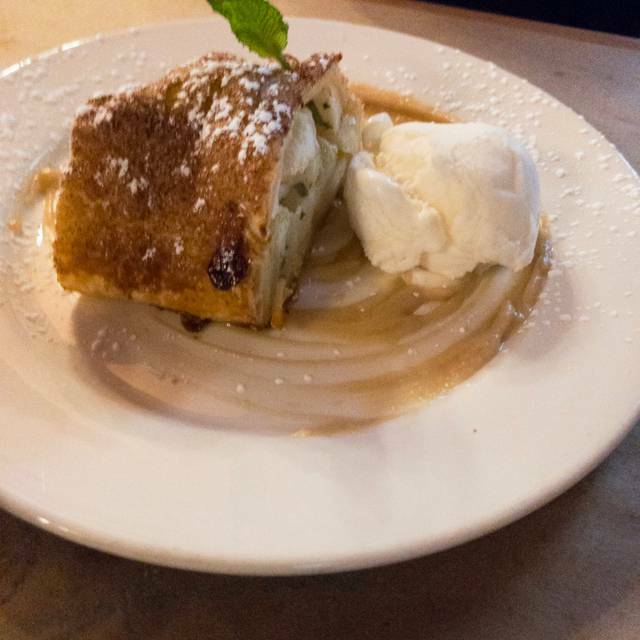 Highly recommend the Lemon Curd dessert and the Apple Strudel . We both had the trout as we had been wanting some ever since we had arrived in the Rockies and this was the first place we found it! Very good. Cozy outdoor seating with a nice view. Went with the shared plates and appies over main courses. Poutine and bison meatballs were excellent but we did not like the brussel sprout salad, almost no flavour. Will visit again if in the area. Rustic restaurant with well spaced tables, good service and well crafted food. Save room for the lemon curd dessert!! We enjoyed our meal at the Tekarra Restaurant, food was excellent and so was the service. We would definitely visit again and would certainly recommend it to a friend. Contrary To certain reports the food was not that refined. Lousy music not suitable to the site. Very expensive compared To other sélected restaurants we attended in Alberta. The addition of extra costs to each suplement such as parmezan cheese ( not brought to the table) is somewhat ridiculous in view of the amount charged to each meal. 3 of us had the trout, and 1 the chicken. All enjoyed, nice piece of fish with quinoa and veggies. Also had the baked Brie for appetizer- needed a bit more bread to finish cheese. Speciality non alcoholic drinks were enjoyed. Desserts were excellent, apple strudel and lemon crude. Overall very enjoyable evening. Best food we’ve had in Canada, hands down. Our server Ang was so friendly and helpful, couldn’t recommend more.